If you’re looking for the best home fitness machines, but are working with a limited budget, don’t worry, I got ya covered. When you start looking at fitness equipment under $300 you have to be careful. There is a lot of junk on the market. Cheap fitness machines are flimsy, unstable, and the electronics can be unreliable. The last thing you want is to spend your money on a product that is going to die on you in 6 weeks. I’ve put this guide together to make sure that doesn’t happen. I’ve put this list together to illustrate that there are respectable affordable fitness machines out there. You just have to know what to look for and where to look. All of the machines listed here are highly rated and can be purchased for under $300. I’m going to discuss 10 different fitness machines, including spin bikes, recumbent bikes, electric treadmills, rowing machines, and ellipticals. Let’s get started! Before we get started looking at the different machines, I wanted to offer a few pointers to help you avoid the junk and find an affordable product that is worth the money. Of course you could simply select a product from this list, I have already screened these machines and deemed them worthy. But you shouldn’t just blindly trust my opinion. I want you to know how I choose products to recommend and be able to find your own products if none of these fit your needs. Flywheel weight- the flywheel is what spins when you pedal a spin bike. It is what gives the bike the feel of riding outside and the consensus is that heavier is better. Flywheel weights vary, especially on budget bikes. Look for a flywheel of at least 30 lb. Heavier flywheels make the ride feel smoother and more realistic. Here’s a pretty interesting discussion on flywheels if interested. Adjustable seat- a decent spin bike should always have a fully adjustable seat. This means both vertically and horizontally. This is important to ensure a comfortable fit. Sturdy frame- you don’t want your spin bike to feel flimsy and wobble when you stand up for those hills. Sturdiness of a frame can be hard to figure out because all bikes claim they are sturdy. Look at max weight capacity- the higher it is, the more sturdy the frame will feel. Horsepower- a measurement of the power of the treadmill’s motor. Higher is always better, but in this price range expect between 1.5 – 2 HP. More horsepower means faster top speed and a smoother ride. Incline- treadmills in this price range may or may not include incline function. If they do, they will be manual, meaning you have to stop using and change incline setting yourself. No changing incline from the console unfortunately. Features- features can be limited on these treadmills, but you should still expect a few workout programs and a heart rate monitor (grip). These machines should have a display screen, but don’t expect any fancy visuals. Type of resistance- in this price range you are probably talking magnetic or wind resistance. Magnetic is nice because it’s very quiet and adjustable from the console. Wind is nice because your resistance in unlimited, the harder you pull the more resistance you feel. See my buyer’s guide for more info on these resistance types. Footplates- look for rowing machines with large footplates. Some cheap rowers have small footplates, making it uncomfortable and difficult to keep your feet stabilized during use. Long seat rail- the longer the better because it allows for a complete rowing motion without having to stop short, especially important for taller folks. Stride length- the longer the stride length, the better. Longer strides make the movement feel more natural and closer to running. Budget machines will have smaller stride lengths, expect 12-16 inches. Flywheel- similar to spin bikes, ellipticals use flywheels and heavier is better. Most budget ellipticals have flywheels in the 12-15 lb range. Pedals- pedals (footplates) are also very important in ellipticals. If the pedals are too small, it’s going to be uncomfortable to use and your feet may not be firmly planted. Textured footplates help keep your feet from sliding around too much during use. Dimensions- recumbent bikes tend to take up more real estate than upright bikes, so make sure you have enough floor space to comfortably fit these machines. Most of these machines need a space about 5′ long and 2.5 wide to comfortably use. Backrest/seat- these bikes have larger seats and backrests, but you should try to find one that is padded and comfortable. That can be difficult in this price range, but look at user reviews to get an idea of how comfortable the machine is. Resistance- the resistance on most budget recumbent bikes is set by turning a resistance dial. You have to pay a little more to get the electronically controlled resistance from the console. First of all, Sunny Health & Fitness does a great job making affordable fitness machines that actually work. Their Indoor Cycle Bike was the first product of theirs I noticed, and I’m still impressed with what they have been able to offer at such an affordable price. The most impressive feature of this bike, in my opinion, is the 40 lb flywheel. That is an amazingly heavy flywheel for a bike under $300. Recall that heavier flywheels offer smoother rides and more closely resemble the feel of riding outside. There are spin bikes 3x the price of this one that don’t offer a flywheel that heavy. I also like that the Sunny Health & Fitness Indoor Cycle has a 275 lb weight capacity. This tells me that this frame is sturdy. And lets be honest, being sturdy isn’t that common with exercise equipment in this price range. Fully adjustable seat and handlebars- you will appreciate this because it will make your ride more comfortable. It will also ensure you have a proper fit to reduce chance of injury. Heavy-duty crank- the crank is the arm that the pedal attaches to. If this is flimsy, it may not hold the stress of standing up. The heavy-duty crank offered here will ensure you are safe to stand and pedal as hard as you like. Adjustable resistance system- you can adjust the resistance by simply turning a knob. This will ensure you get the most out of your workouts. Transport wheels- these come in handy when moving your spin bike. The total weight for the bike is almost 100 lb, so moving it would be significantly more difficult without these transport wheels. Overall, the Sunny Health & Fitness Pro Indoor Cycle Bike is my favorite spin bike for under $300. They had me at 40 lb flywheel. This bike is rocking a 4.2/5 average rating on Amazon with over 2,000 reviews. This is a very popular bike for good reason and a great buy. Ok, I know the name sounds the same as the spin bike above. But this is actually a different bike. Same company, but different bike. I wanted to include a different brand bike, but the truth is Sunny Health & Fitness makes the best budget spin bikes. Without a doubt. The Chain Drive Cycle includes an LCD display screen that shows time, distance, speed, and calories. This is a nice feature because it makes it easy for you to track your stats. The above bike does not include a display screen (many spin bikes don’t). This bike’s max weight limit is 265 lb. Just a little less than than the Pro edition. 10 lb isn’t a huge deal, but that tells me this bike isn’t quite as heavy duty. The last major difference is that this bike is a little smaller. The max seat height allows for a 36 in inseam. The Pro can adjust to accommodate an inseam of 41 in. So taller users should probably opt for the Pro Indoor Cycle. Both bikes offer the same 3-yr structural frame warranty and a 90-day warranty on parts. Both are par for the course in this price range. This bike is just a little cheaper than the Pro edition. If you are a shorter rider or are looking for a display screen, this is a great choice. Taller riders should pay the extra couple of bucks and get the Pro. This bike is also rocking a 4.2/5 on Amazon. Another great spin bike for the money. The Weslo Cadence G5.9 is a pretty solid treadmill for this price range. It made my best of list because it has a lot to offer and users are happy with its durability. The Cadence G5.9 has a 2.25 HP motor that can reach a top speed of 10 mph. This is respectable amongst the budget treadmills. The running surface (or track size) for the Cadence G5.9 is 16″ x 50″. This is small, but unfortunately that’s what you get for 300 bucks. This treadmill would be more suitable for walking based on the track dimensions, but if you are of smaller stature you may be comfortable running. Adjustable incline- there are 2 options for manually adjusting the incline. This will help you burn more calories and add variety to your workout. Heart rate monitor- this is a nice feature, especially for a budget treadmill. Keeping track of your heart rate will help you gauge intensity during your workouts. 6 workout programs- The Weslo Cadence G5.9 comes with 6 different workouts to choose from. These will help you reach your fitness goals and keep your routines from getting too stale. Foldable- this is a folding treadmill. When you are not using it, you can fold it in half for storage. This significantly reduces its footprint when not in use. Great if space is an issue. Overall, the Weslo Cadence G5.9 is a pretty solid treadmill for under $300. It has a 250 lb weight capacity which is respectable for this price point. It currently has a 3.7/5 average rating on Amazon and is one of their best selling treadmills. Users appreciate the quality and value. The Confidence GTR Power Pro is another treadmill that offers more than it should for this price range. This machine is less powerful than the Cadence G5.9. It’s rocking a 1.5 HP motor and can only reach a top speed of 7.5 mph. This might not be enough for a lot of the runners out there, but it should be fine for walking (and maybe some light jogging). My favorite feature of the Confidence GTR is the 12 programmed workouts it offers. This is 2x as many workouts as the Cadence, so if you are looking for a treadmill with plenty of workout options, this may be a good fit for you. This treadmill also offers a manual incline system with 3 different setting. Foldable- this is another folding treadmill, so storage is a breeze. When you aren’t exercising, fold it in half and it really doesn’t take up much floor space. Perfect for apartments and small spaces. Heart rate monitor- the Confidence GTR also includes a grip heart rate monitor for monitoring during exercise. Assembly- putting the this treadmill together is very easy. 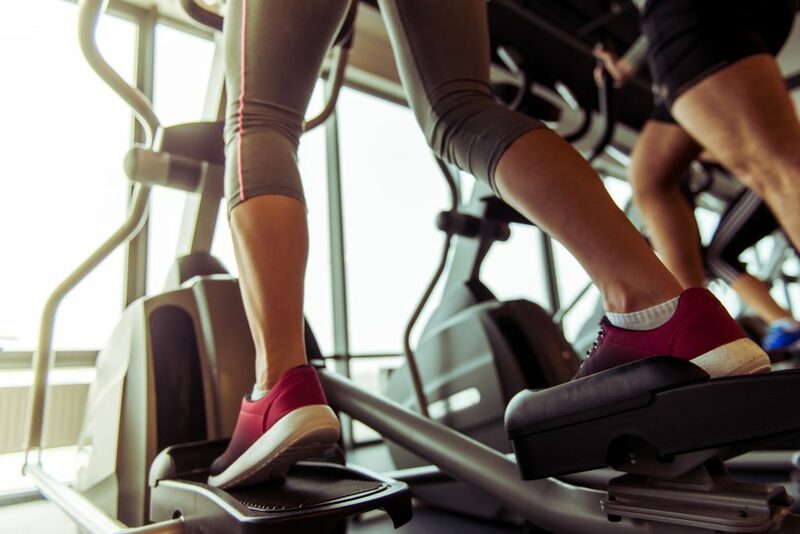 It only takes 20-30 min and you’re ready to start using your new treadmill. Light weight- this machine only weighs 62 lb. You will have no problem moving this treadmill from room to room if you have to. Especially since it folds. This treadmill is very portable. The running surface for this treadmill is about 16″ x 44″. This is a very small track size and I really don’t see anyway how you could run on this machine. I recommend this treadmill for walking. It does have a 250 lb weight capacity which is pretty good for this price range. Overall, this is a great pick if you are looking for an affordable treadmill to walk on. It’s also a good choice if you are looking for a lot of programmed workouts to choose from. Users are mostly happy with their purchases, the Confidence GTR Power Pro is currently boasting a 3.7/5 rating on Amazon. Yes, another Sunny product. I told ya they make great budget fitness equipment. Their magnetic rowing machine is no exception. I like this rower because it has a long rail, a good weight capacity, and a solid magnetic resistance system. I must say, to clarify, that the full price of this rowing machine is $399, well outside our $300 cap. But, this machine is currently on sale and is now under $300. The Sunny Health & Fitness Magnetic Rowing Machine has an 82 in seat rail. This is long for this price range and it is going to make rowing more comfortable for the taller rowers. For comparison, some rowers in this price range have seat rails that are about 50 in long. Longer is better, because it will comfortably accommodate more folks. I also like that this rowing machine has a 250 lb weight capacity. Again, for this price range, this is pretty good. More expensive rowers will be 300 lb or higher. Other machines in this price range can be as low as 220 lb. This rowing machine uses a magnetic resistance system. This is great because it is very quiet. It’s also adjustable. This allows you to increase or decrease the resistance you are rowing against. This rower by Sunny offers 8 different resistance levels. LCD display screen that tracks calories, time, and count. You will appreciate having a display because it lets you know exactly how much work you’ve done. Large, textured, foot pedals with strap. You will like these because they will keep your feet comfortable and firmly planted to the machine while you row away. A fully padded seat for extra comfort. Rower seats can be uncomfortable over time, but this cushioned seat will keep you more comfortable during your workout. Overall, the Sunny Health & Fitness Magnetic Rowing Machine is a great rower for under $300 (sale price). User reviews are very positive, this rower is rocking a 4.3/5 average rating on Amazon. If you are looking for a quality rower for under $300, this is a great choice. I’m a fan of air rowers, so the Stamina ATS is my personal favorite for this category (sorry Sunny). Air rowers are great because you get unlimited resistance. If you want more resistance, all you have to do is pull harder. Most quality air rowers are a little more expensive, but the Stamina ATS just squeaks under our $300 limit. I like the Stamina ATS Air Rower because it is a durable air rower that will respond to the way you are rowing. As will all air rowers, but we normally have to pay a few hundred dollars more. The Stamina offers us the same workout at a fraction of the price. This rower is 77 in long, so a little shorter than the Sunny rower mentioned above, but I think it should comfortably fit most users. If you are over 6’2″, you may want to consider a machine with a longer rail just to be safe. Besides offering air fan resistance, the Stamina ATS also has a comfortable padded seat and a display monitor that tracks speed, distance, time, and calories. Large footplates- these are important because you want to make sure your feet are secure and comfortable during your workouts. Folds for storage- the Stamina ATS is easy to store, simply fold the rail up and the machine takes up very little floor space. This is a nice feature if your workout area doubles as a living room or dining room. All steel frame- this is crucial, because you want your rowing machine to be able to hold up to the toughest workouts you can throw at it. Padded seat- the seat on the Stamina ATS is padded for extra comfort and it slides smoothly along the rail. Overall, the Stamina ATS Air Rower is the lowest priced air rower I would recommend buying. It’s sturdy, durable, and has a fan resistance system that will give you unlimited levels of resistance. Users are overall very happy with this machine, it currently has a 4.1/5 average rating on Amazon. Looking for a cheap air rower? This is your best bet. ProForm is a well known supplier of high-quality fitness equipment and their 295 CSE elliptical is easily amongst the nicest in this price range. The problem with ellipticals in this price range is that their stride lengths are tiny and they tend to have flimsy frames. This treadmill offers a 14 in stride length, which is average for this category. But it does have a 250 lb weight capacity which is good. I like this elliptical because it offers more features on the console than you would expect. This machine is iFit compatible and it comes with 12 programmed workouts. It also has a grip heart rate monitor. And yes, this machine is under $300. The ProForm 295 CSE has a 13 lb flywheel, so right in the middle of that 12-15 lb range we should expect in this price range. This should be enough to give you a fairly smooth ride during use. 12 levels of magnetic resistance- this will give you plenty of control over the resistance and will be more than enough to ensure you get a great workout every time. Stationary and moving handlebars- you will like having the option of holding onto the stationary handlebars if you want to give your arms a break and only work your legs. Transport wheels- this features make moving your elliptical very easy. Comes in handy if you find yourself having to move from room to room often. Overall, the ProForm 295 CSE is a quality budget machine produce by a quality manufacturer. It has a sturdy frame and solid flywheel. This is a nice choice for this price bracket. There are currently only 2 reviews on Amazon, but both users gave this elliptical a 5/5 rating. EFITMENT has also produced a pretty impressive little elliptical that fits in our price range. This elliptical is a little smaller than the one by ProForm with a 13 in stride length. And I must say again, these stride lengths are very small, much smaller than any elliptical you have ever used in a gym. Please don’t purchase one of these ellipticals and expect it to feel like a club machine, because it just isn’t the case. Sorry, I just wanted to make sure we are all on the same page. This machine also has a lower weight capacity at 220 lb. Smaller stride length and lower weight capacity = this machine is appropriate for smaller individuals. The Magnetic Elliptical Machine by EFITMENT does have plenty to offer though. It comes with large, textured footplates that should be very comfortable during use. It also comes with 8 levels of adjustable resistance. Heart rate monitor- it’s great when budget machines include these because they are very helpful for gauging your intensity during your workouts. Digital display screen- tracks calories, time, speed, distance, and heart rate. Transport wheels- these make moving this elliptical a piece of cake. The machine only weighs about 80 lb anyway, so transportation won’t be an issue. Overall, this EFITMENT elliptical would work well for small apartments or a home gym where space is limited. It would also work better for smaller individuals because it has a small stride length and low weight capacity. This treadmill is getting great reviews online, it currently has a 4.7/5 average rating by users on Amazon. There are several fairly decent budget recumbents bikes, but I like the Stamina 4825 because it’s a good combination between features and sturdiness. Features are limited on these budget machines, but the Stamina 4825 does have a few tricks under it’s sleeve. It’s frame is sturdy and can handle a max weight limit of 300 lb, which is awesome at this price. The Stamina 4825 has a magnetic resistance system that is adjusted with a turn dial. There are 8 total levels and user’s report this machine can provide more resistance than most need during their workouts. This recumbent bike also has 6 preset workouts. This feature is wonderful because a lot of bikes in this price range don’t offer any presets. They simply have an LCD timer. The console on the Stamina 4825 is a little more sophisticated. Besides selecting your workouts and viewing your workout stats, you can also track your heart rate through the grip monitors located in the handlebars. Included 3-year warranty on frame and 90-day warranty on parts- 3 years is pretty good for this price point and 90 days is pretty standard unfortunately. Adjustable seat- the seat can be adjusted closer or farther from the pedals to ensure a comfortable fit during use. This is important because you don’t want to be stuck using a machine that doesn’t fit correctly. Comfortable padded seat- the seat on the Stamina 4825 is large and cushioned for added comfort during use. You will appreciate this added comfort during your workouts. Quiet operation- the magnetic resistance on this recumbent bike is very quiet. This is helpful if you have to workout early in the morning or late at night and don’t want to wake up family members. Weighted pedals- the pedals on the Stamina 4825 are large and comfortable. Being weighted, it makes them spin a little more smoothly for extra comfort during use. Overall, the Stamina 4825 is a nice little recumbent bike. It has a small footprint and can be easily moved using the included transport wheels. It has an average user rating of 4.1/5 on Amazon. Most negative comments are regarding assembly which can be a little confusing or receiving damage parts. The Exerpeutic 900XL is one of (if not the) the most popular recumbent bikes on the market. It also might be the cheapest piece of fitness equipment discussed in this entire article. For the price, the Exerpeutic 900XL is a no-brainer, it simply can’t be beat. Let me explain. First of all, this machine has a 300 lb weight capacity. This tells me that the frame is sturdy. Unfortunately, this isn’t always the case with fitness machines in this price range. When we find sturdy frames at this price, we should remember them. This bike also has 8 levels of adjustable, magnetic resistance. Like the Stamina 4825, it is adjusted by turning a dial. This magnetic resistance is incredibly quiet so noise shouldn’t be an issue during your workout. The Exerpeutic 900XL also has a decent LCD display screen that tracks distance, time, speed, calories, and heart rate. There are grip heart rate monitors in the handlebars, a nice feature to track your progress and gauge your intensity during workouts. Large seat and backrest- the oversized seat cushion and backrest will add to your comfort during use. Recumbent bikes are favored by many for this reason. Step-through design- this basically means it’s easy to access the seat from either side. This makes getting on/off the seat easy regardless of your size. Fits most sizes- the Exerpeutic 900XL reports it can comfortably fit users ranging from heights between 5’3″ to 6’6″. This should accommodate most users out there. Really, the only thing missing from this machine are the preset workouts. There are no presets on the Exerpeutic 900XL and although that’s not too uncommon in this price range, it would be nice. If you know you want a bike with preset workouts, I would suggest the Stamina 4825. Overall, the Exerpeutic 900XL is a popular recumbent bike for good reason. It’s sturdy, comfortable, and extremely affordable. User reviews are overwhelmingly positive, it’s currently boasting a 4.2/5 average user rating on Amazon. And that’s with over 2,000 reviews. If you are looking for budget fitness equipment, I hope you found something that meets your needs. We just took a look at the 10 best home fitness machines for under $300 as well as some tips on what to expect from machines in this price range. I tried to include a variety of fitness machines, including treadmills, bikes, and rowers. I think it’s important to have realistic expectations when purchasing budget home fitness machines. These machines are smaller and less durable (in most cases) than their more expensive counterparts. We have to remember that these machines are less expensive for a reason. We all know how that old saying goes: “You get what you pay for”. But that doesn’t mean we can’t be smart about how we spend our money. Budget home fitness machines may not be able to compete with the high-end machines, but that doesn’t mean all budget equipment is created equal. Far from it. You have to be savvy when looking for a good deal. Because that’s what this list really is. It’s a list of good deals or hidden gems if you will. I tried to include the machines that I think are worth buying. Many of the fitness machines under $300 simply aren’t worth the money. When searching for the right piece of fitness equipment, remember to compare the features, the weight capacities, and the warranties. Make sure the piece of equipment will fit comfortably in your home as well. This goes for all fitness equipment, not just budget machines. I hope you found this article helpful. If you didn’t find what you are looking for or have any questions or concerns, please leave a comment and I’ll get back to you soon.